New things I am up to this new month ! I have been up to a few new things I thought I would share with you today !! The first is a new shop, I went with the free one because I am on a no spend for 31 day challenge, for the month of Oct, so no new spending, but I will see if I need to upgrade to the next level after a month on the site. here is the l ink , I can only list 5 items, try to sum up all your work in five items, not fun !! I am not sure I picked well, but it was a lot of pressure !! 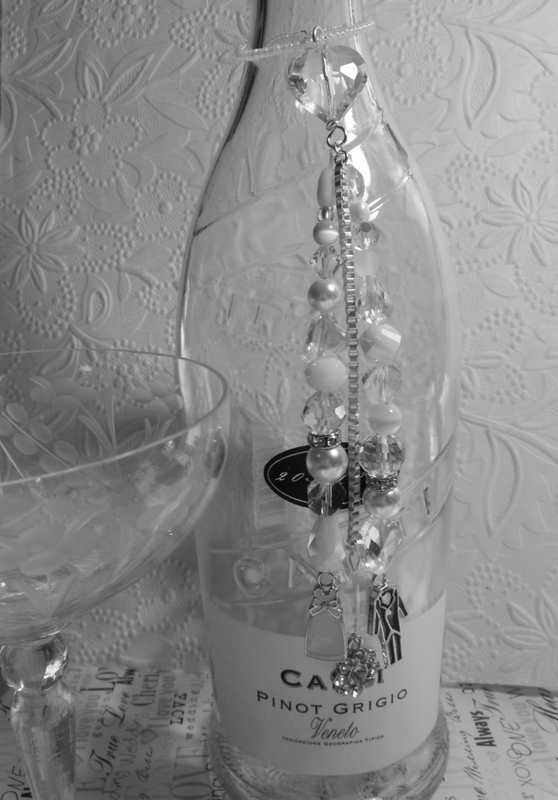 Next thing I have been doing is some new charms, wine bottle dangles, tassels, charms, whatever you want to call them. 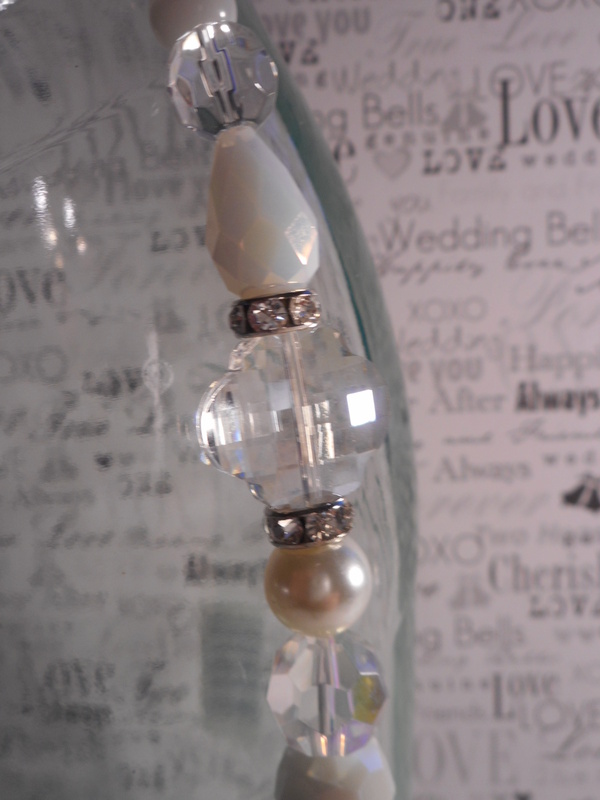 Can also be hung on a door knob, car rear view mirror, dresser handle, lamp, mirror, curtain rod, pretty much any where !! 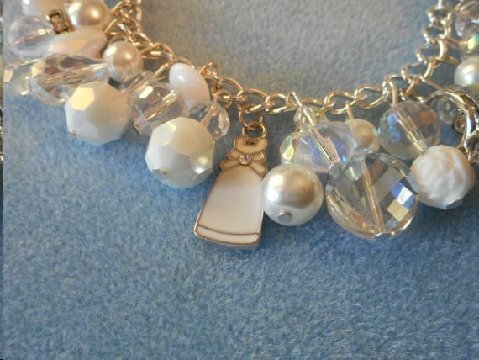 I had so much fun making them and got two listed, so I will share them first. 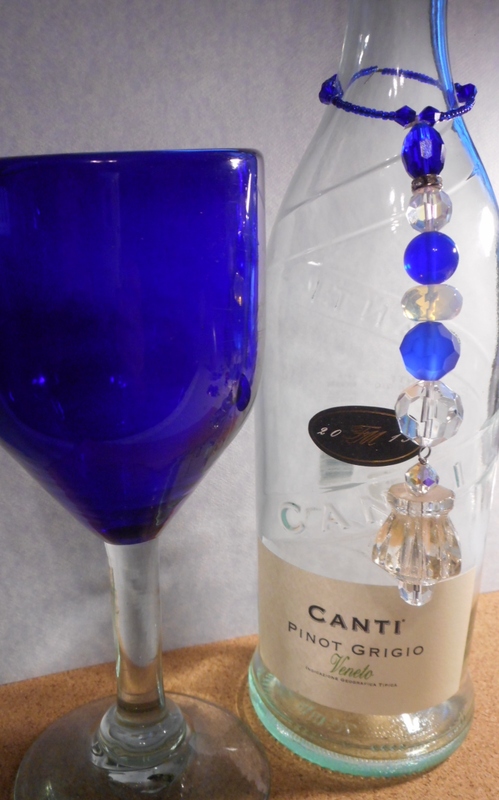 Anyone who knows me even a bit, knows I adore cobalt blue . 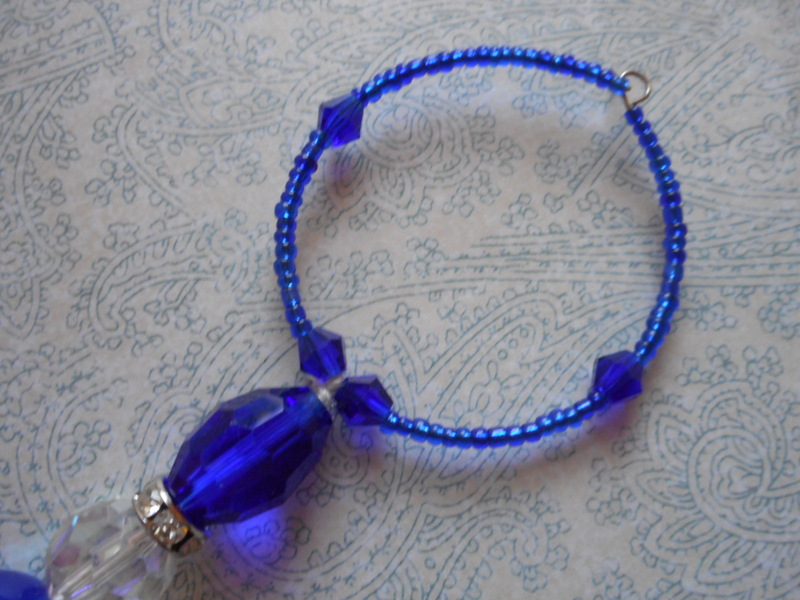 It should not come as a shock that one of my first pieces has cobalt blue in it !! 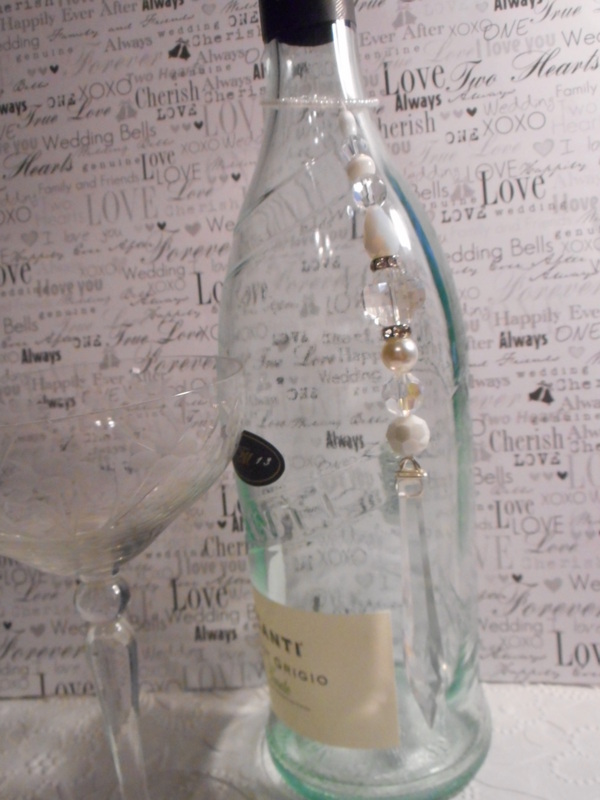 I used a vintage glass knob at the bottom and used gorgeous glass beads, pretty good sized ones in this piece. I made a bigger loop than my already large big loop I bought for this type of item, but this one was just too heavy. 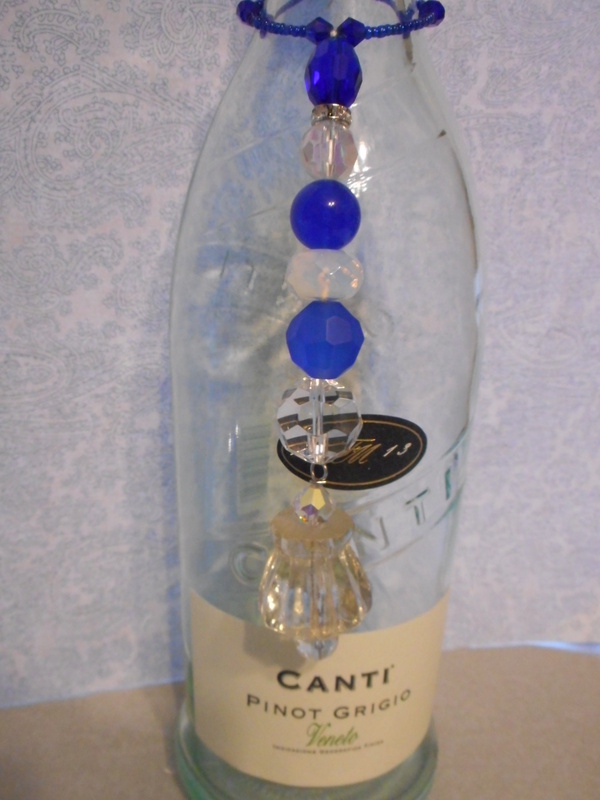 I used very heavy beading string and then doubled it up to string the beads so it lies nice on a bottle or any surface that might be uneven, wire would have stuck straight out. 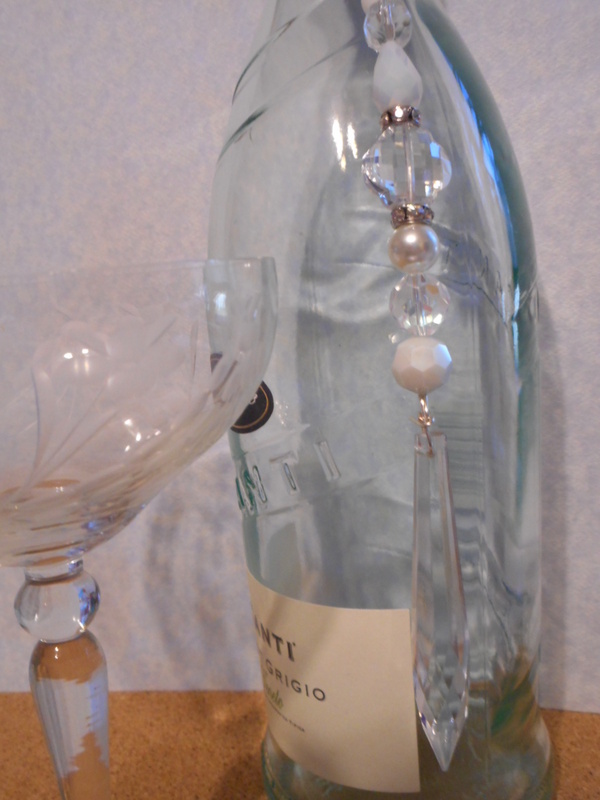 All glass, and glass seed beads and bicone beads on the hoop I made. 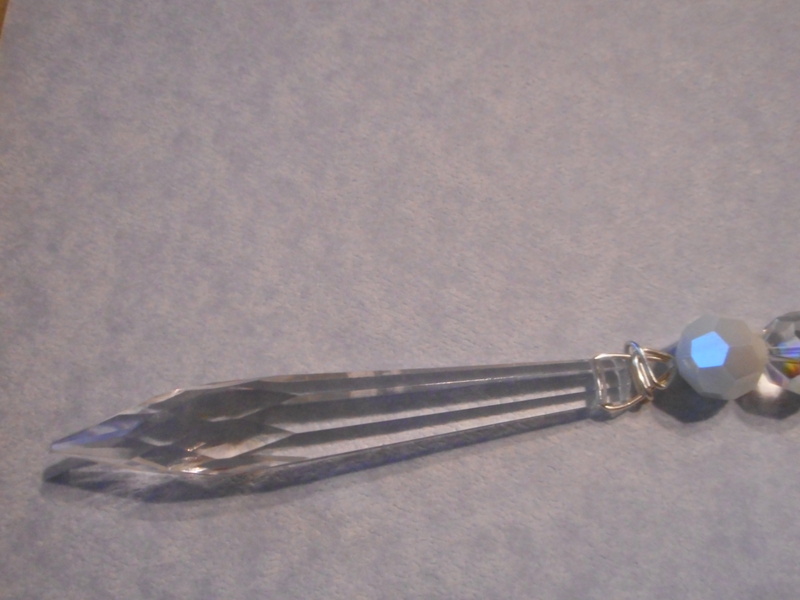 here is the link for the listing I have it listed at $25.98 which includes the shipping for this pretty heavy piece !! 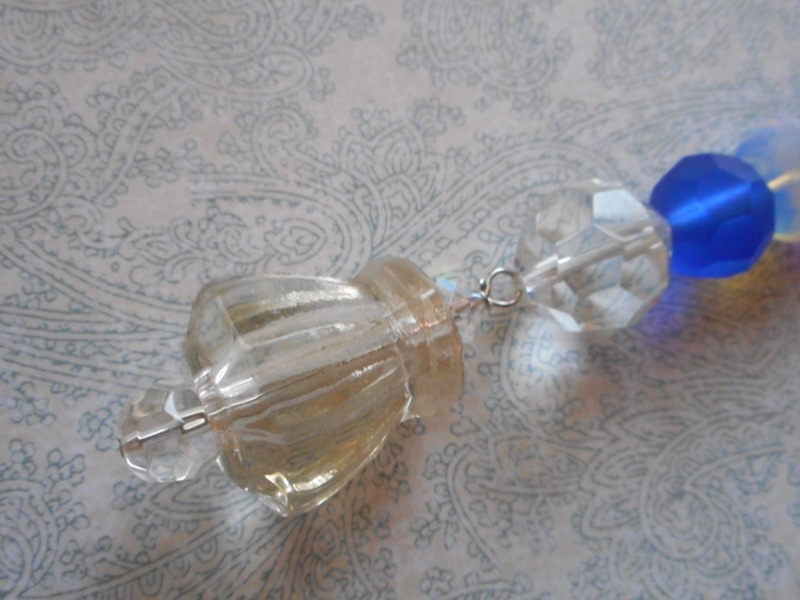 I used a vintage chandelier drop for the bottom and it is very pretty, faceted glass or crystal, I think glass, but it is so pretty and really long too as the chandelier drop alone is just over three inches. 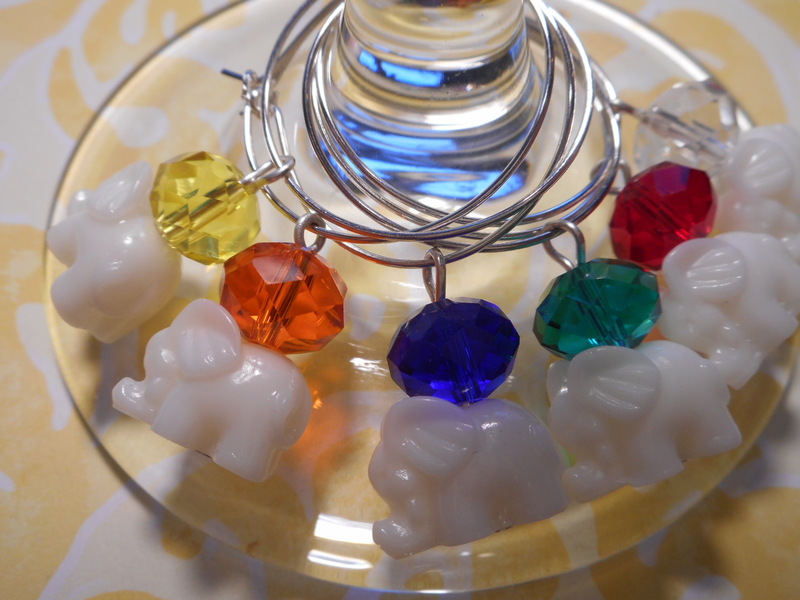 I wire wrapped it to hang it, and then used beading thread doubled it twice to hang the beads and used one of my very favorite beads ever, a scalloped Chinese crystal from Aunties beads, I love those beads and have them in every color they offer !! 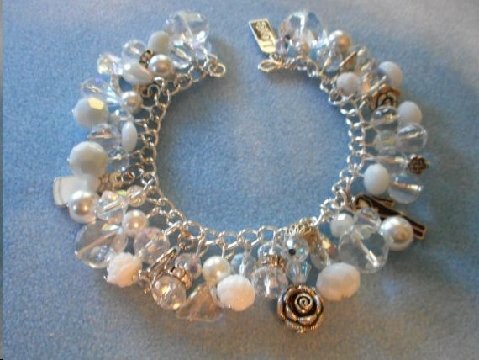 I added rhinestone spacers top and bottom to that gorgeous bead, and then added all whites and clears to keep a lovely bridal theme, but can be used anywhere you want a touch of sparkle and white !! LIke the other one, can be hung in a lot of places but this ring is a bit smaller than the other but if requested I can make the larger ring for a dollar more than the list price as I have to actually make the ring before I bead it and that memory wire is a bear to work with !! 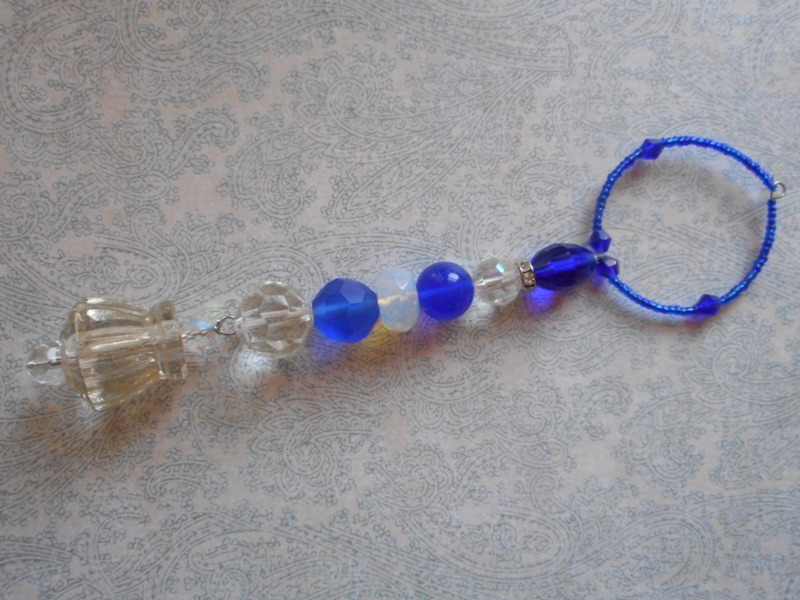 I will probably use it from now on, but made the white one first and the blue was just too heavy with the knob and much larger beads to use the tradtional hoop. I beaded this hoop with a pearl glass seed bead. I tied the dangle to the hoop like the last one. Including the hoop this one is 8 and three quarter inches, and without the hoop, it is seven and a quarter long. I did one more, but did not get it listed yet, but will share it with you and probably list it today or tomorrow. 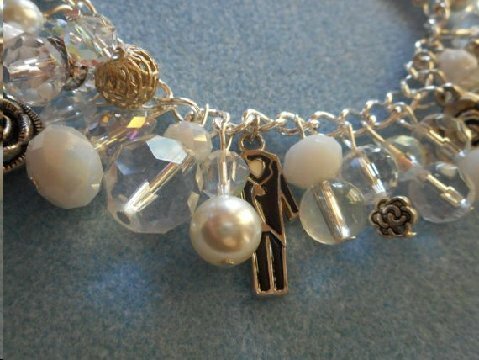 I like it, but it was my first and I will not do another with charms that have a front and back, two sided charms or beads, it is really hard with the beading thread to get it all to hang the same direction with three dangles. 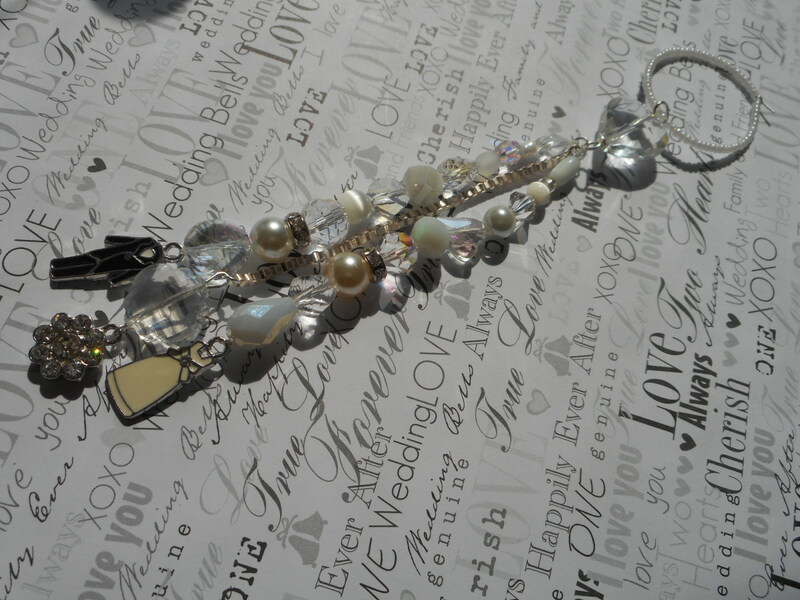 I will probably do another three dangle again, but will be sure to watch the charms I use for it !! Are you as impressed with my black and white cut and edited picture on top as I was yesterday !! I was pretty proud of myself, I am still very very new to editing pictures, so I impressed myself with this top picture !! To experts I am sure it is not impressive, but to this point and shoot girl, it was exciting !!! 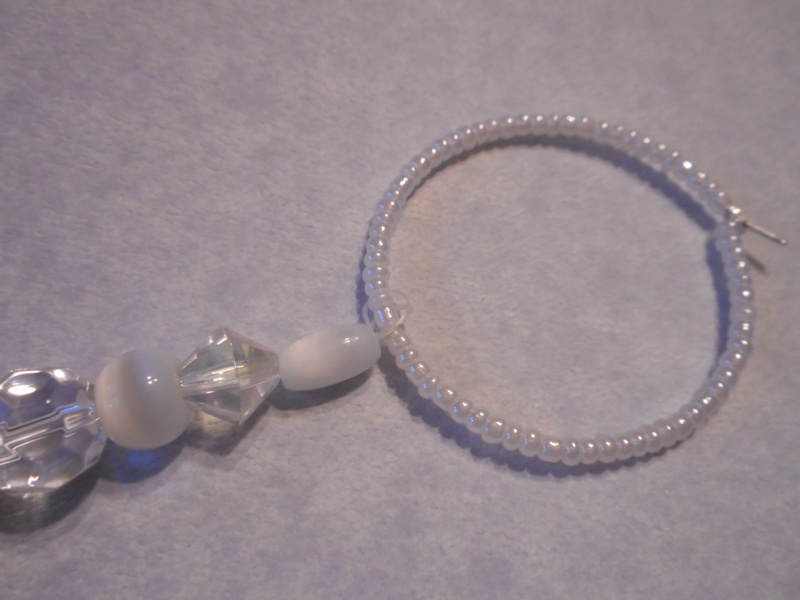 Same ring as the other white one, the premade extra large hoops I had bought last year for a custom order I was doing. 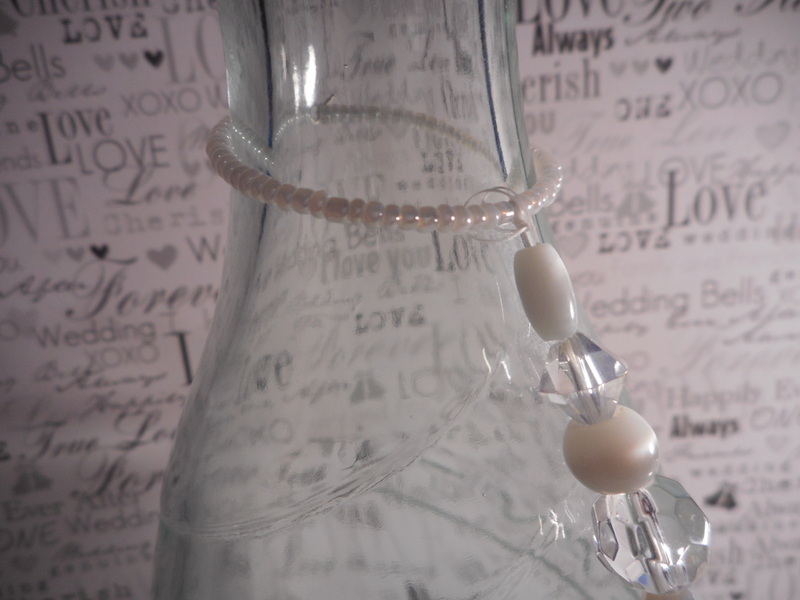 Same glass pearl seed beads. 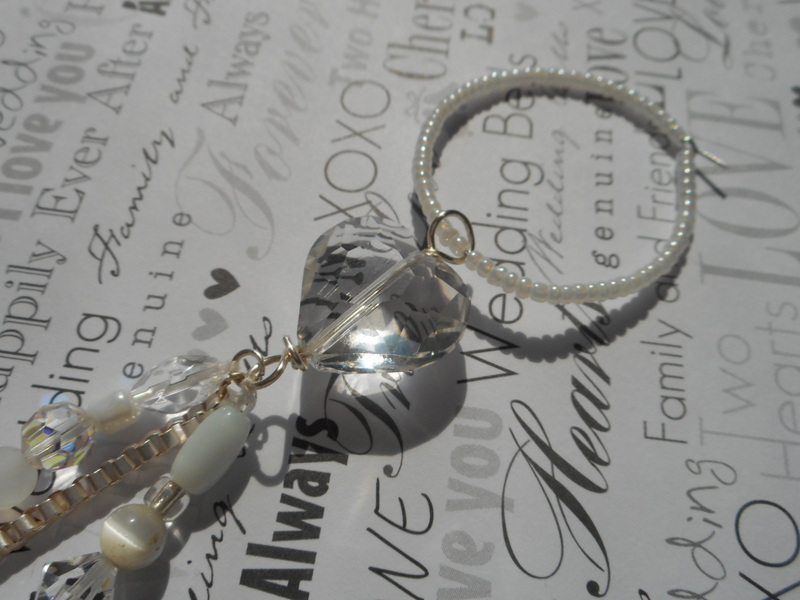 I used a heart bead at top and some cute charms I also used on a charm bracelet, seen in this listing , you can see the same little bride and groom and some other pretty charms in the bracelet. 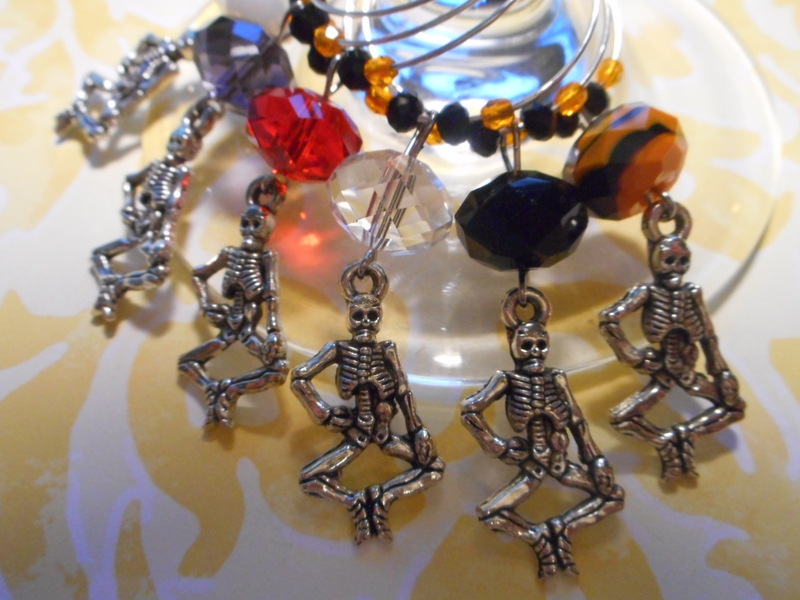 My only two sets of these charms, so I will not be able to make anymore with them, I bought them several years ago !! 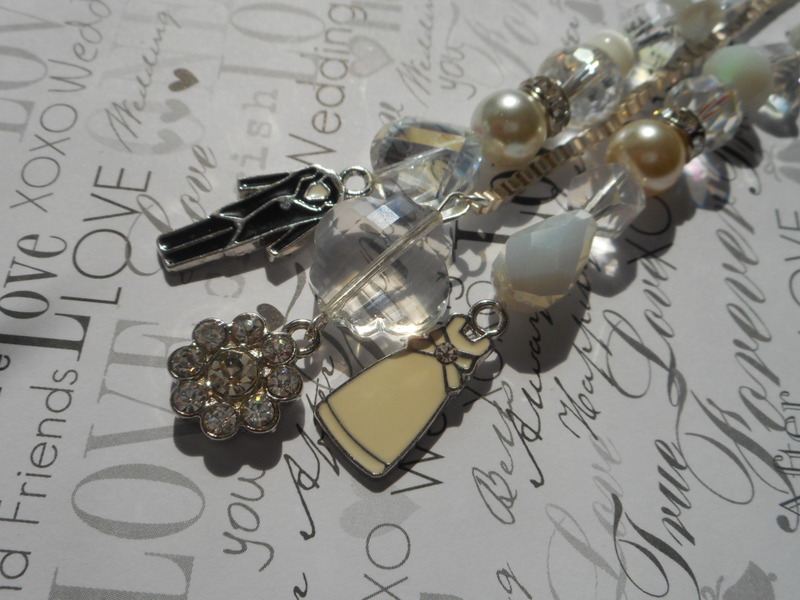 I also got a couple of wine charm sets listed yesterday as well !! So, that is what I have been up to this week, well mostly weekend, hope you are having a good weekend too !! Super projects! Don’t you just love the photo taking, the editing, choosing key words/tags, and verbiage aspect of the business?! LOL! If only I had someone to do all that for me, I would be in hog heaven! It’s SO time consuming! Oh my gosh, I have said the same thing so many times !! 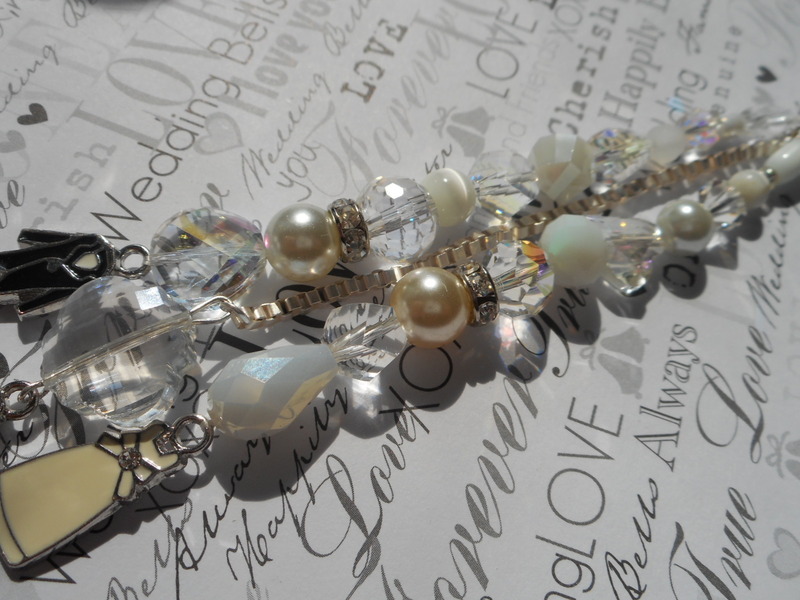 It takes so much time and then Etsy asked you 200 questions for every listing as well, I hate that !!! Why they cannot have you save the different categories so you do not have to answer those questions every time !! Thank you so much !! I appreciate you stopping by !! !